The retina is a layer of nerves at the back of the eye that interprets images and sends them to the brain. Diabetic retinopathy is a disease of the retina, where the blood vessels begin to break down. It can happen when diabetics don't have their blood sugar under control. In the beginning, there are usually no symptoms of this disease. By the time it begins to affect vision, the disease has already progressed to a serious stage. Symptoms of severe damage can include eye pain, blurred vision, floaters, and loss of vision. How Can You Treat Diabetic Retinopathy? The best way to treat this disease when you're first diagnosed is by keeping your blood sugar under control. After symptoms appear, we may want to treat you with medication, laser treatments, or surgery. How Can This Disease Be Detected and Treated? The only safe way to find out you have diabetic retinopathy is by having a comprehensive eye examination. 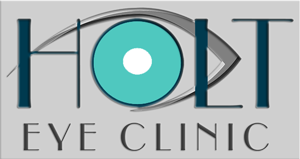 One of our optometrists will examine the inside of your eye to determine the health of your eyes. If you've been diagnosed with the disease, we'll consult with you about lifestyle changes you can make, as well as treatment regimens offered if they're needed. Having diabetes can create a wide variety of health challenges, and that includes the danger it poses to your eyesight. Keeping your eyes healthy requires a two-pronged approach: keeping control of your blood sugar and having regular eye examinations. If you haven't had an eye exam in at least a year, it's time to come in for one. Call our office at 501-624-0609 to schedule an appointment today.